Compared to all other diseases occurring around the world, is this something new that qualifies as an “epidemic” here in May of 2014? So why did the World Health Organization put out such a frightful press release this week, which was promptly broadcast by all the major mainstream media outlets? UNICEF, which partners with WHO for global vaccine purchases and distribution, is one of the largest purchasers of vaccines for worldwide distribution. Last year, for example, they purchased 1.7 billion doses of the live oral polio vaccine to administer to children under the age of 5. 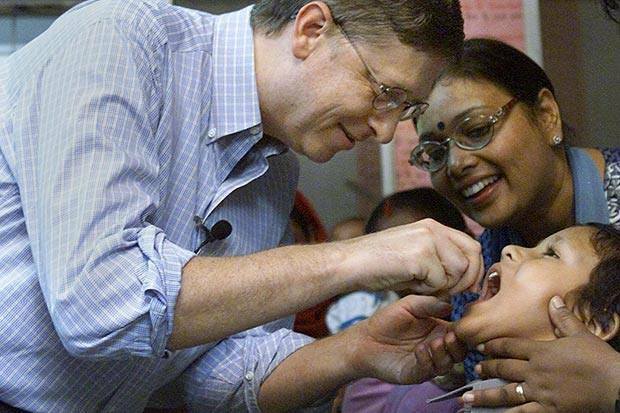 So is there an absence of humanitarian crisis here so far in 2014 that has resulted in sales of the live oral polio vaccine decreasing compared to last year?? We have seen this historically in the United States, where the vaccine market has even more government sponsored protection with legal immunity against any harm caused by vaccines. With such recent government appointed epidemics like the Bird Flu and Swine Flu scares of recent years, these government-announced pandemics greatly increased vaccine purchases, but the outbreaks never materialized because the threats were never real to begin with. This dangerous vaccine is no longer used in developed countries like the U.S. But, it is mandated, purchased, and distributed in poor countries. Vaccination record-keeping can often be suspect in many places, and the vaccine is so easy to administer that it can be given to children right on the streets, without even bothering to find out if the child has already been vaccinated. 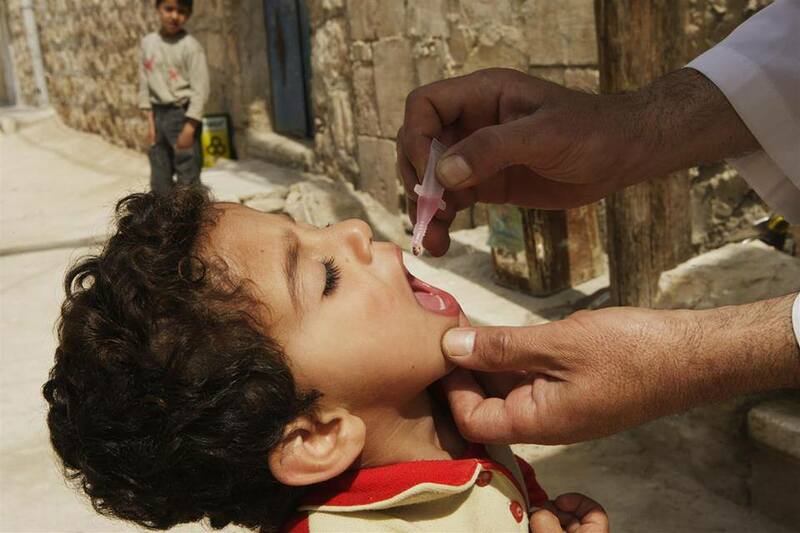 Administration of the oral live attenuated polio vaccine with Syrian children on the street (not a clinic). 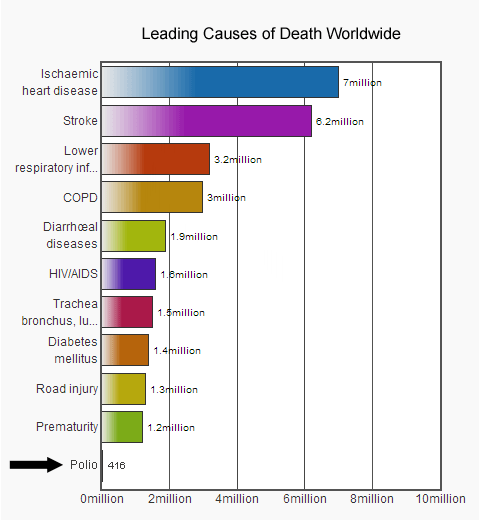 The oral polio vaccine is no longer used in the U.S. and most other countries. Photo by UNICEF. Sadly, the World Health Organization is doing just the opposite here in 2014.